Lock in a great price for Arthotel Heidelberg – rated 9 by recent guests! The hotel was lovely. Very clean and conveniently located to everything. The location was perfect for the things that were important to me. Stylish and comfortable. Staff helpful and friendly. Wifi great, bed confortby, bright clean and stylish. Great breakfast, location, ambiance Restaurant fabulous service great but expensive Parking! We had a personal hallway that lead to our main room. It provided nice seclusion during our stay. We loved the staff as they were very friendly and helpful. It was great to walk to the lobby and grab a few beers before going to sleep. Loved the room. Very spacious. Very clean. Staff was super friendly and very helpful. Gave us a map of the city to guide us to the main spots in Heidelberg. Let us store our baggage on check out day so we could explore more of the town without lugging around our gear. Would definitely recommend! Looking out window to see University Library & a church. Bathtub. Windows open just enough to let in fresh air. Reception helped us with luggage when we checked out. Arthotel Heidelberg This rating is a reflection of how the property compares to the industry standard when it comes to price, facilities and services available. It's based on a self-evaluation by the property. Use this rating to help choose your stay! One of our best sellers in Heidelberg! 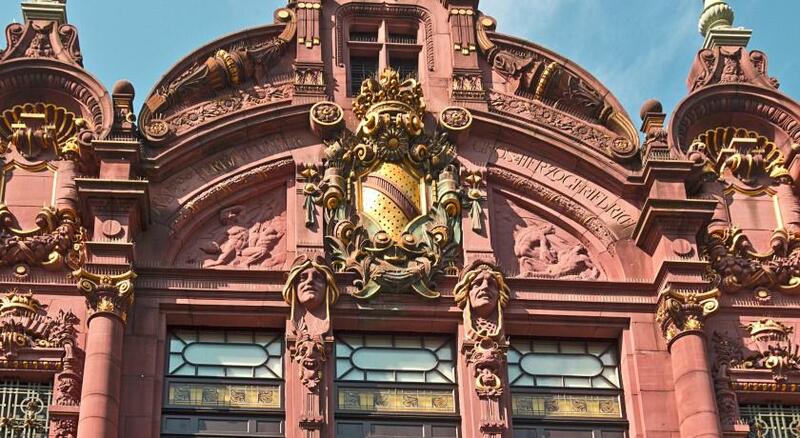 This boutique design hotel in Heidelberg features modern accommodations behind a historic façade. It is located beside the university in the Old Town. Schloss Heidelberg castle is 2,650 feet away. The rooms and suites of the Arthotel Heidelberg feature wooden flooring, a flat-screen TV and a bath tub. Free sparkling water is provided on arrival. A rich breakfast buffet is available each morning in the Romer Restaurant. Regional and international cuisine is served here for lunch and dinner. Guests are welcome to relax with a cocktail in the Romer Lounge. During the summer, meals and drinks can be served on the roof terrace or courtyard terrace. On-site parking is provided for an extra fee. 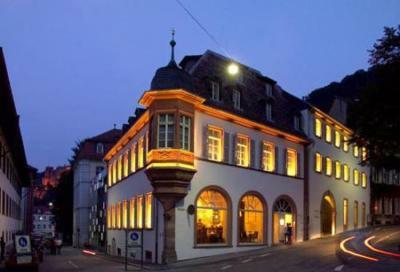 When would you like to stay at Arthotel Heidelberg? Bright room with a flat-screen TV, work desk, and private bathroom with complimentary toiletries. Public parking is available on site (reservation is needed) and costs EUR 12.90 per day. This double room has a DVD player, air conditioning and seating area. House Rules Arthotel Heidelberg takes special requests – add in the next step! Arthotel Heidelberg accepts these cards and reserves the right to temporarily hold an amount prior to arrival. The hotel staff were extremely friendly, the room very large. Great location, too! I didn’t like the fact that I had noted to city in my sockets in my room but the way it was dealt with was very creative and professional. I really like the professional and positive attitude of the staff. Very friendly and helpful. I would like a snack in the room such as cookies or nuts. Very comfortable rooms, great location and friendly staff. Comfortable hotel in great location. It would be good to have tea making facilities in the room. The location is perfect, the rooms are bright, clean and a good size. Lovely hotel decorated with charm and very well located. Close to the University and to a shopping area. Breakfast was expensive for value. Nothing hot and limited choices. The room heating control is disabled for 10 minutes if you open a window. I can see the point environmentally and it’s fine once you know, but it’s not very intuitive. The service was friendly and efficient. The hotel was stylish and comfortable: it achieved an excellent integration of an old building with modern design and architecture to create a very pleasing set of spaces. The restaurant is excellent. 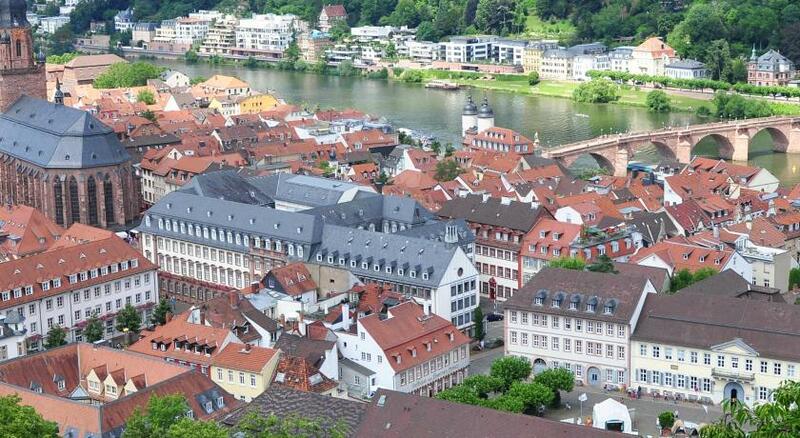 The location is perfect for visitng Heidelburg.